What Do You Want to Do? ? Share your Gmail label, Outlook.com Mail folder, Yahoo! Mail folders, etc. with your colleagues, partners and clients - even if they do not use the same mail platform as you. 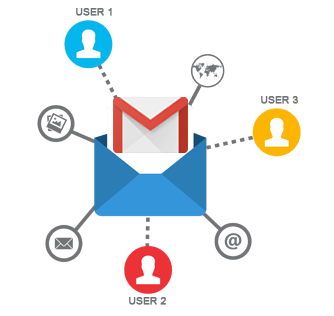 Set up a shared Gmail label for your Google G Suite users. Just move emails to this folder inside Gmail and email will instantly appear in other users Gmail. You should select this option if you want to share a Gmail label or some other folder of some of your account (or, in general, of the account you have credentials (username and password)). For example, you want to share Gmail label "Invoices" from your Gmail account with your team. You should select this option if you are a Google Apps admin of your company and you want to set up sharing which will aviable to selected (or all) Gmail accounts in your company. For example, you are the Google Apps admin of domain @acme.com and you want to setup a Gmail label called "HR" and ensure that this label is shared and available for users bob@acme.com, alice@acme.com, hr@acme.com, etc. Tech-Challenged Employees: Some employees might not know how to create a Gmail Label share, and might didn’t understand who to share labels with. 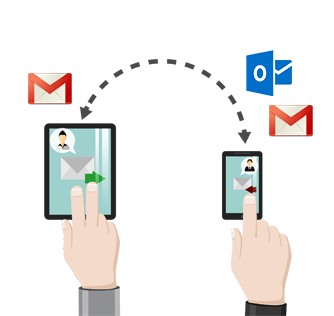 While they grasped the concept that they could comment on emails as a team, they might not be able to correcly maintain sharing and permissions for Gmail Labels. These kinds of employees needed some hand holding. Security and Control:The IT admin will be able to control and see all Gmail Labels that’s being shared by users in the domain, get reports of what is being shared and ability to delete selected shared labels or comments.